AI stock has shot up by over fifteen percent on news that galaxy-famous scientist Davros, controversial creator of the Daleks, has been hired to work on unspecified technological projects.' Davros has been given the chance to redeem himself. Humanity stands on the verge of a new era, but it needs the help of the galaxy's greatest ever scientist. But Davros is dead... isn't he? From the bunkers and shelters of ancient Skaro to the gleaming Domes of the Future Earth Empire, Davros has always been a man of destiny. Now he's working for mankind's benefit. 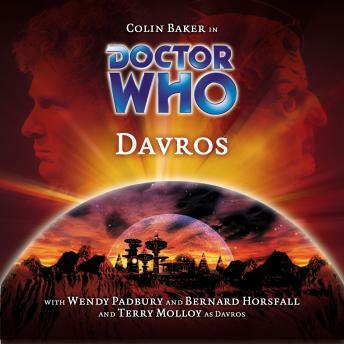 But how much do we really know about Davros? Has Davros really turned over a new leaf? The Doctor certainly doesn't think so. But is the Doctor always right?